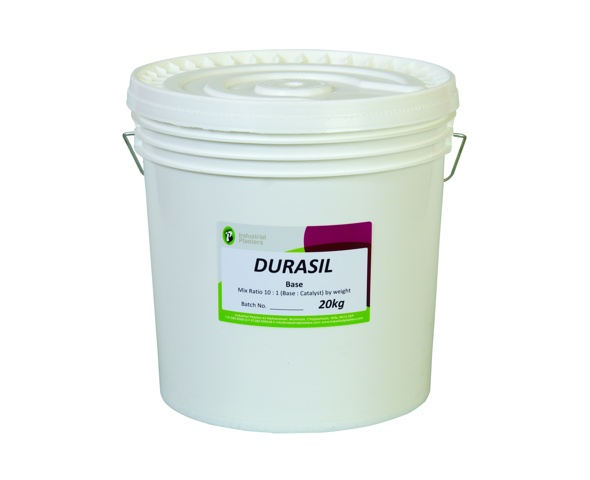 Durasil Base - Industrial Plasters Ltd. Very popular silicone, one of the highest quality silicones on the market. Gives excellent reproduction and mould life, ideal for plaster, concrete and resin casting. Thickens well for brush-on applications, using Silastic Thixo Additive. You will need to buy Silicone Catalyst separately, which is available in Fast, Very Fast and Slow setting speeds. Fast is recommended as standard. These catalyst normally pigmented red to assist in mixing, however the Fast is available clear.